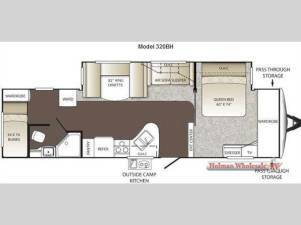 2013 Keystone RV Outback 320BH - Outback will not allow us to show our LOW WHOLESALE prices. Please E-mail , give us a call, or click to getlowest price to see our amazing price! Outback will not allow us to show our LOW WHOLESALE prices. Please E-mail , give us a call, or click to getlowest price to see our amazing price!